The answer is, "who's paying?" I hear that there is a 2% raise for 10 years and no retroactive pay on the table. The most consequential municipal labor negotiations in decades are challenging Mayor de Blasio to win contracts that serve the public interest — nowhere more importantly than in the schools. Facing demands for more than $7 billion in back pay from unsettled contracts, including $3.2 billion by the United Federation of Teachers, the mayor is reportedly discussing a nine-year deal with UFT President Michael Mulgrew. The contract would stretch back to 2009 and forward to 2018 in order to spread out raises. This is dangerous business that will critically shape de Blasio’s term and chart the course for educating 1.1 million students. Neither the mayor not the taxpayers can afford to pay billions for raises without equal cost savings. As one example, de Blasio is looking to reduce the ballooning cost of employee health care coverage. He must succeed. At the same time, de Blasio must win teacher contract reforms that empower the chancellor and principals to raise achievement levels. A deal that tinkers or locks in the status quo for another four years will be unacceptable. The new bargain must treat teachers as professionals — worthy of rewards when they excel and held accountable when they fail. It must also retire the notion that teachers are entitled to lifetime employment even when the massive system has no jobs for them. In 2005, the city and UFT made a breakthrough: No longer would teachers be forced on unwilling principals on the basis of seniority. Instead, principals got the power to choose the best applicants. This gave birth to the ATR, a pool of roughly 1,200 educators who lost jobs due to school closings, budget cuts or poor performance — and were unable or unwilling to find new positions anywhere throughout the schools. They cost taxpayers an estimated $100 million a year. 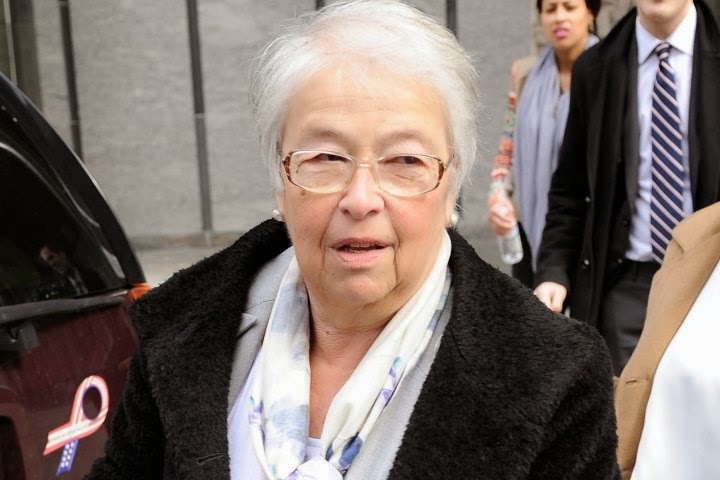 Wisely, Chancellor Carmen Fariña said last week, “There will be no forced placement of staff” — which must be an iron-clad guarantee that she will not in any way undermine a principal’s discretion over hiring. The solution is simple: Set a hard cap of one year in the ATR. If a teacher fails to land a position by then, the teacher is gone. 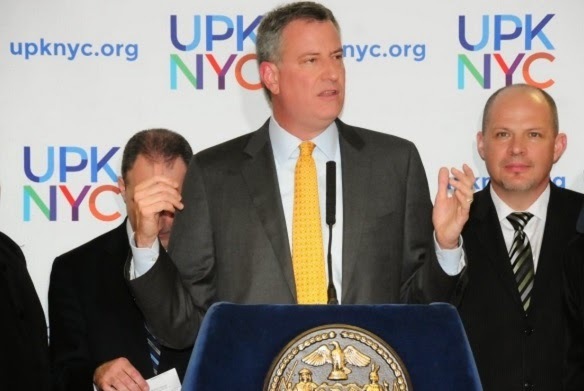 De Blasio and Fariña have ruled out the Bloomberg strategy of shuttering and reconstituting miserable schools. They will soon discover that nothing defines a school like its leader and instructors — and the city needs the power to overhaul instructional staff to reform failure factories. Assuming the mayor and chancellor continue to forbid school closings, they must gain the power to remake troubled schools from top to bottom by replacing personnel. The chancellor must be able to remove principals, whose replacements must then have full authority to choose their teams. New York City teachers earn more based on two factors that are irrelevant to achievement: seniority and graduate education credits. Classroom performance doesn’t matter, nor does serving in a high-need school or filling a shortage in subjects like math or science. De Blasio needs to strike a hard bargain to ensure that teachers, and especially promising young teachers, have financial incentives to stay. Newark’s contract is a good model for him to follow. Teachers whose performance ranks in the bottom quarter are barred from raises. Those in the top quarter are guaranteed boosts. De Blasio must hold firm on the system for evaluating teacher performance that is only beginning to come online. Strengthening it would be better. Running to 165 numbing pages, the contract defines the lowest common denominator rather than paving a path to excellence. The complexity creates administrative nightmares, infantilizes teachers and is a yoke around the school system’s neck. Kids are in pain. In New York City's public schools, the way the Department of Education deals with kids in pain is to punish them. And, punish their parents as well for allowing their kids to remain in a troubled state. It's all the parents' fault. The problem is that race and disability harassment at the DOE is rampant, random and discriminatory. And if anyone wants me to testify about my 16-year documentation of this, just ask. When you are a young person and cannot find anyone who will hear your troubles and you are in pain, you hurt yourself or others. C'mon, folks, we gotta change this. Fast. The city’s public schools are in the grip of a suicide epidemic. “As chancellor, I’ve been on the job seven weeks, and there have already been 10 reported suicides. We cannot allow those,” she told 250 new principals at Stuyvesant HS during a private meeting. The tragic statistic — which amounts to more than one suicide per week — has not been released publicly. The Post obtained a recording of Fariña’s address. None of the suicides occurred on school property, Department of Education spokeswoman Margie Feinberg said later Saturday. She could not immediately provide the ages or schools of the children. The only suicide publicly reported was the heartbreaking death on Feb. 13 of 15-year-old Jayah Shaileya Ram-Jackson. A gifted student at the NEST+m school on the Lower East Side, Jayah leaped from the roof of her grandmother’s 27-story apartment building on the Upper West Side. “At least eight people have told me they want me to kill myself in the past two days,” the girl wrote on Facebook a month before.